School administrators study the attendance behavior of high school juniors at two schools. Predictors of the number of days of absence include gender of the student and standardized test scores in math and language arts. The state wildlife biologists want to model how many fish are being caught by fishermen at a state park. Visitors are asked how long they stayed, how many people were in the group, were there children in the group and how many fish were caught. Some visitors do not fish, but there is no data on whether a person fished or not. 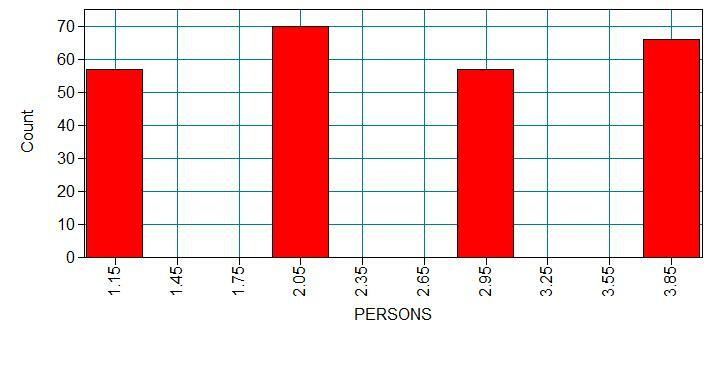 Some visitors who did fish did not catch any fish so there are excess zeros in the data because of the people that did not fish. In the syntax below, we have indicated that count is a count variable by using the count statement. The (nbi) option is used to indicate 2 things: that we are modeling our count variable with a negative binomial distribution, and that we are specifying a zero-inflated model. Without the (nb) option we would be specifying a (zero-inflated) poisson model, and without the (i) option, we would be estimating a negative binomial model without zero-inflation. Also, we use the usevariables statement to indicate that we are not using all of the variables in the data set in the current model. We have omitted the missing statement because we have no missing data in this data set. The default estimation method is MLR – maximum likelihood parameter estimates with standard errors and a chi-square test statistic that are robust to non-normality and non-independence of observations when used with type = complex. The MLR standard errors are computed using a sandwich estimator. This is what we generally call robust standard errors. To get the "regular" standard errors, we use the estimator = ml on the analysis statement. Two regression equations are specified in the model statement: the first equation is the negative binomial model, predicting the count of fish using child and camper. The second equation is the logit model, indicated by count#1, predicting membership to the zero generating process using persons. In the MODEL FIT INFORMATION portion of the output, you will find the log likelihood for the final model as well as a number of fit statistics. In the MODEL RESULTS section of the output you will find the negative binomial regression coefficients (estimates) for each of the variables, standard errors and the ratio of the estimate to its standard error. This can be used as a Z test, where values greater than 2 are considered to be statistically significant. Following these are logit coefficients for predicting excess zeros. In the above output, we see that both child and camper are significant predictor of count, and persons is a significant predictor in the logit model. 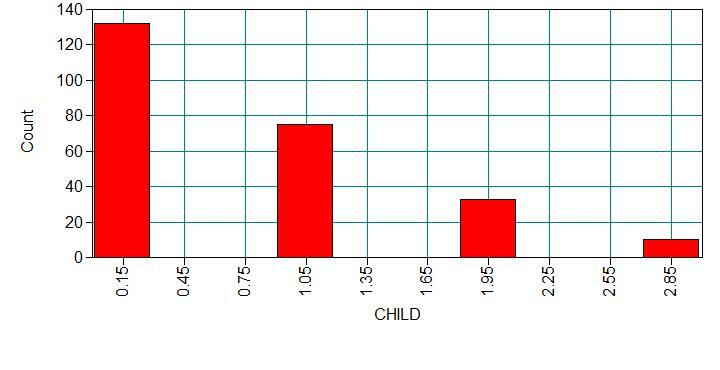 Thus for each additional child, the log count of number of fish count decreases by 1.515. For each additional person, the log odds of membership to the excess zero-generating process decreases by1.666. The robust standard errors attempt to adjust for heterogeneity in the model. Robust standard errors tend to be larger than "regular" standard errors for parameters in the negative binomial part of the model and smaller for parameters in the logit part of the model. 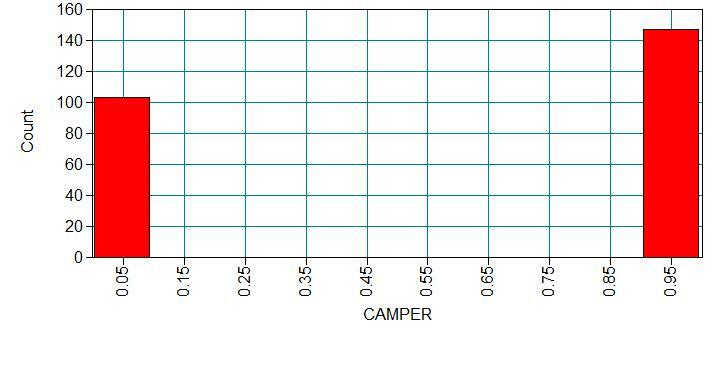 We see that now camper is not statistically significant. 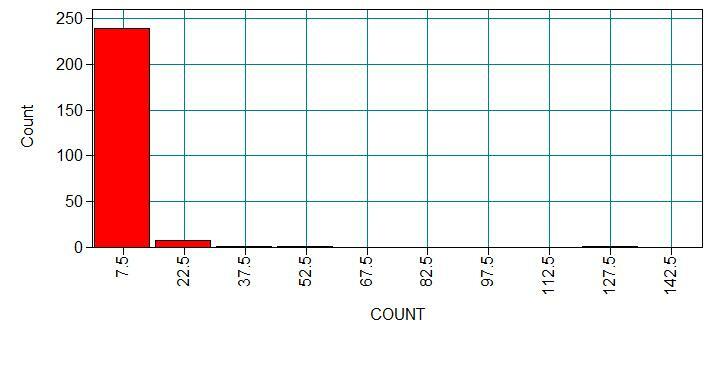 Count data often use exposure variable to indicate the number of times the event could have happened.